Baby Claire enjoys watching tv and mimics what she saw. Her favorite cartoon character was Dora the Explorer. 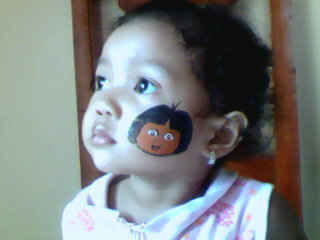 She also likes face painting and modeling.